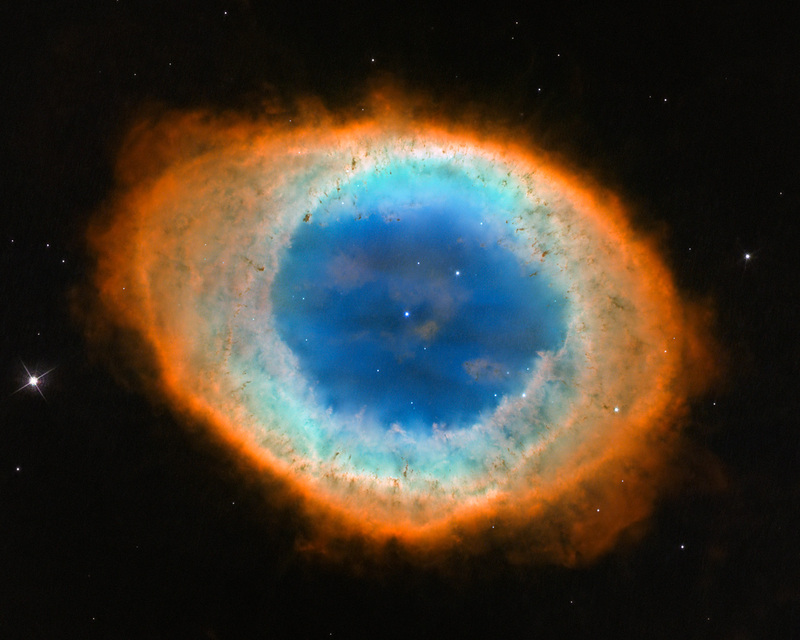 This new image shows the dramatic shape and colour of the Ring Nebula, otherwise known as Messier 57. 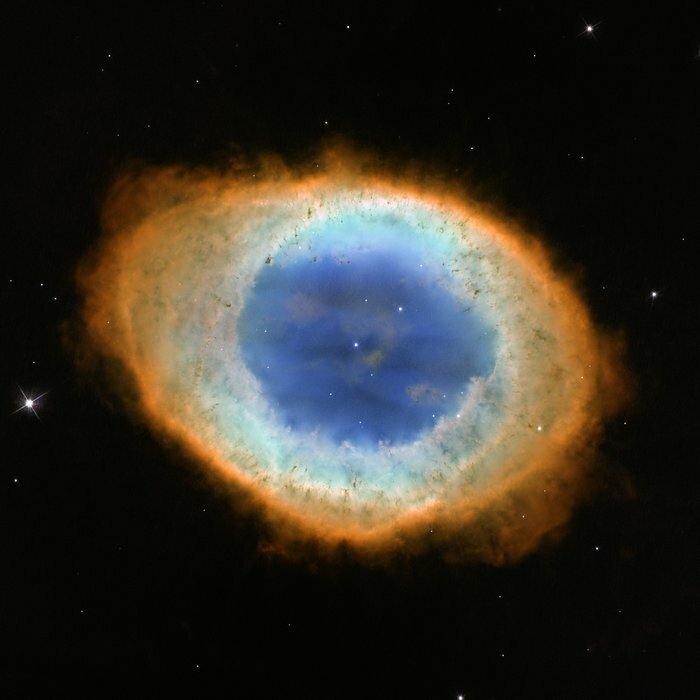 From Earth’s perspective, the nebula looks like a simple elliptical shape with a shaggy boundary. 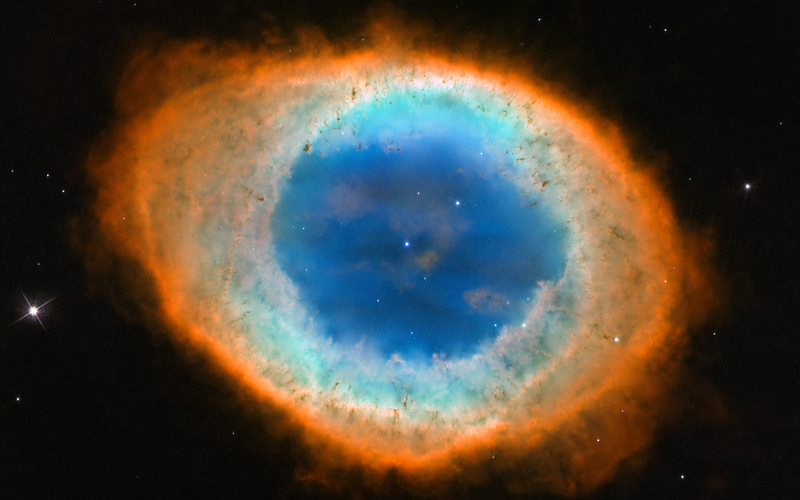 However, new observations combining existing ground-based data with new NASA/ESA Hubble Space Telescope data show that the nebula is shaped like a distorted doughnut. This doughnut has a rugby-ball-shaped region of lower-density material slotted into in its central “gap”, stretching towards and away from us. NASA, ESA, and C. Robert O’Dell (Vanderbilt University). Position (Dec): 33° 1' 44.13"